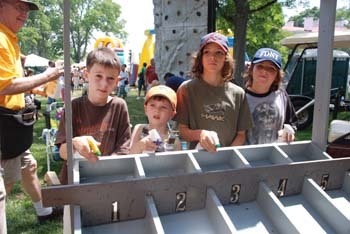 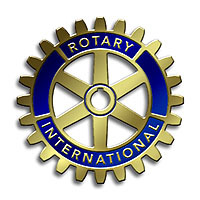 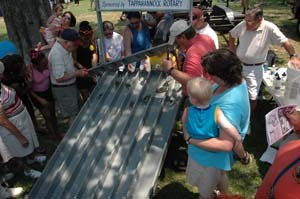 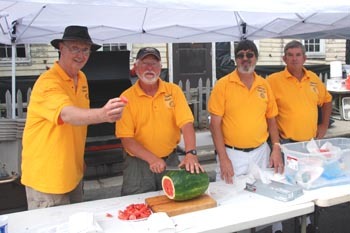 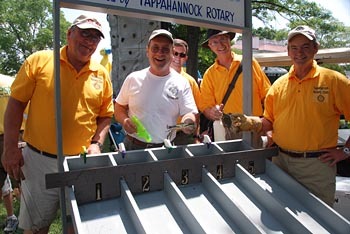 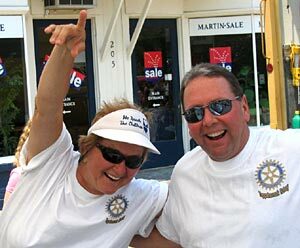 Throughout the year, Tappahannock Rotary Club participates in many fund-raising activities including the annual RivahFest local festival - the third Saturday in June every year. 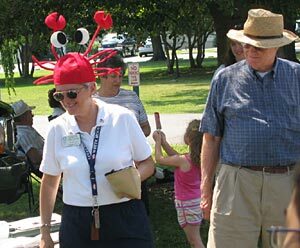 Rotary raises funds through two activities at the Festival - the highly popular Crab Race featuring a race track where seven live crabs are released down a track and urged on by young competitors armed with water pistols. 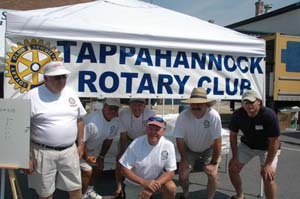 Rotary also runs a food and drinks booth in the Tastes of Tappahannock section of the festival. 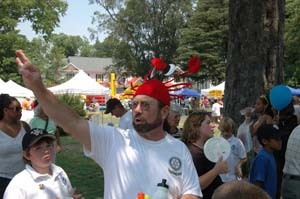 Go to www.rivahfest.com/rf06_1.htm for more photos of the RivahFest Festival or visit www.rivahfest.com for more information about this major event of the year. 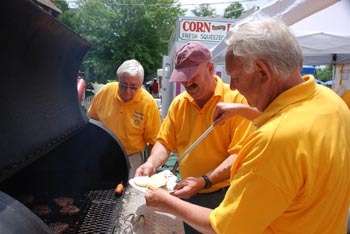 These funds are invested and then used to support diverse community groups, organizations and individual students for the benefit and improvement of the services and opportunities in Tappahannock and Essex County.